Ryan Petrich has done it again—not that that comes as a surprise to any of us at iDB. Of course, Touch ID enabled tweaks are all the rage these days, and quite a few developers are starting to release tweaks that take advantage of the iPhone 5s’ flagship feature. Most of the tweaks being released have a security related aura about them, which is understandable considering that Touch ID is all about security in its stock implementation. One such tweak called BioProtect was released a couple of days ago, and while it was hard not to get extremely excited about it, I feel that BioLockdown, Pertrich’s tweak, is by far the better of the two. I feel that way, not just because BioProtect came packed with a serious flaw that caused its superfluous animations to run constantly in the background, draining your battery; it’s because BioLockdown is better designed, has a better feature-set, and it’s cheaper. It’s also from a developer that keeps his releases updated constantly, and communicates well with those who use his apps. Check out our full video walkthrough of BioLockdown after the jump. 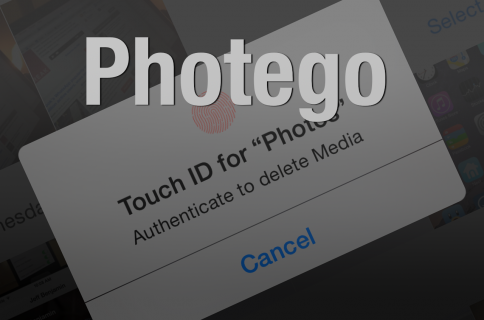 You’ll see why this is hands-down the best Touch ID security tweak to hit Cydia thus far. 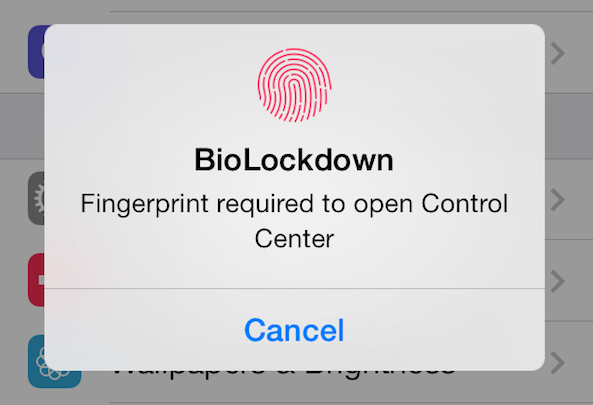 BioLockdown goes above and beyond other Touch ID security tweaks in one main area: it allows you to not only restrict access to apps, but it also restricts access to toggles and settings panes in the Stock settings app. 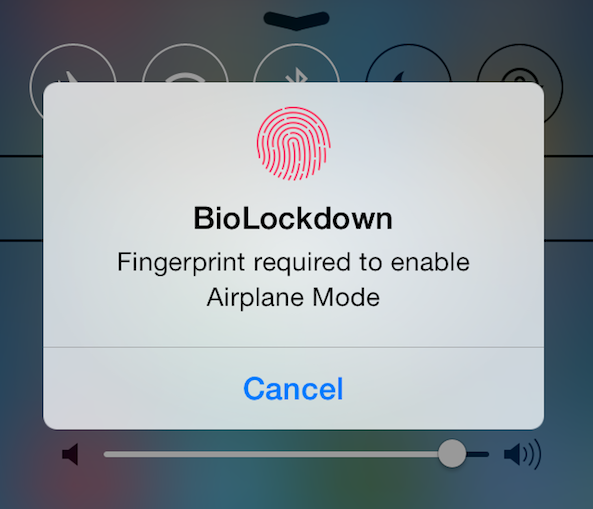 It other words, BioLockdown is a better way to protect your device using Touch ID. 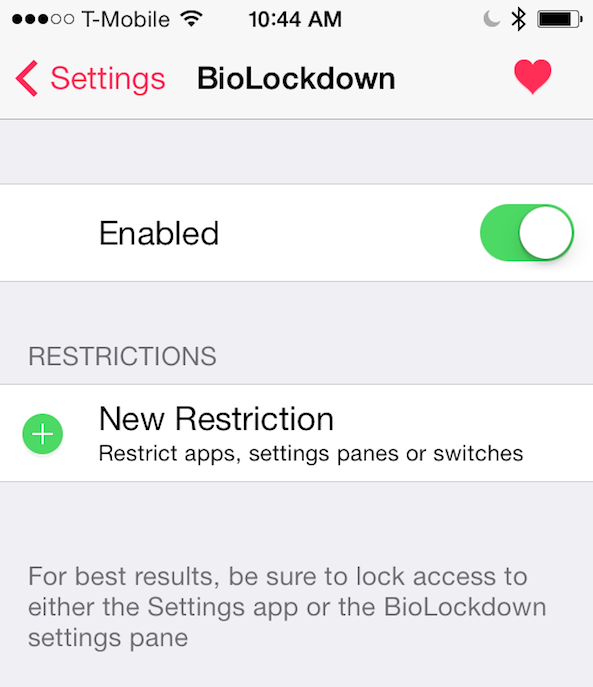 Another areas where BioLockdown excels is with its own settings panel. Inside, you’ll find an intuitively laid out panel with clear and concise explanations. At the top of BioLockdown’s preferences lies a kill switch. This switch allows you to instantly enable or remove the effects of BioLockdown, no resprings required. This is great for when you need to ensure quick access to all of the areas on your phone. In fact, no resprings are required when customizing any of the features found within BioLockdown; it’s one of those tweaks that just works. Below BioLockdown’s kill switch lies the New Restriction button. This button allows you to quickly add restrictions for apps, settings panes or switches. Restricting each asset is just a matter of tapping an item to add it to the list of restrictions. Removing restricted items is just as intuitive. A red delete button lies to the left of each restricted item for easy deletion. Using BioLockdown is just as simple and intuitive as setting it up. Tapping any asset with restrictions will immediately bring up the BioLockdown overlay stating that a fingerprint is required to open the asset. From there, you can either verify a valid Touch ID fingerprint, or cancel. Petrich was wise enough to make sure that any loopholes, like accessing apps from the app switcher, or using links to specific apps via Safari are closed. 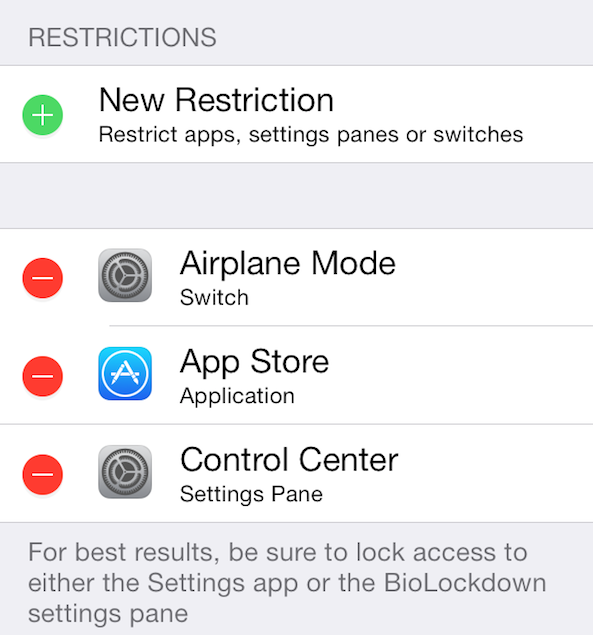 For instance, if you try to open an app that’s restricted from the app switcher, you’ll be immediately met with the BioLockdown overlay right on top of the app switcher. The same thing goes for links found in Safari. It should be noted that any finger configured to use Touch ID counts as a “valid” finger. BioLockdown isn’t reading the data associated with the finger, it’s just asking iOS whether or not the finger is a valid finger or not. If yes, you’re allowed access to the asset, and if no, your access is restricted. Some people have asked about having things like folder restrictions added to BioLockdown, but I’m not so sure that there’s an easy way to do that without making the setup an unintuitive mess. I’m confident that Ryan will continuously improve on his tweak, but I’m also glad that he’s omitted throwing in the kitchen sink just for the sake of adding features. BioLockdown is a well balanced tweak with a solid feature-set and even better design. 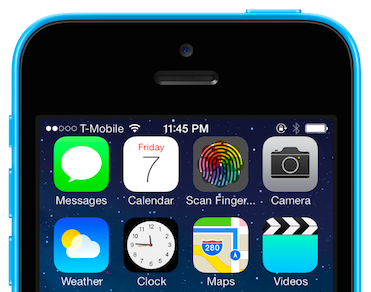 It should be in every jailbroken iPhone 5s owner’s repertoire. 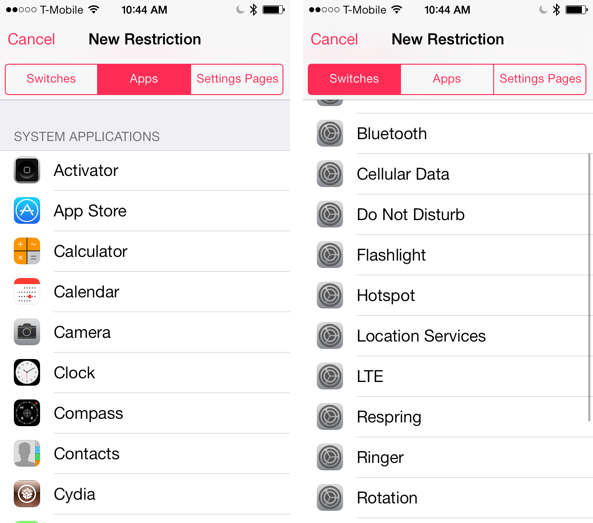 You can download BioLockdown for $1.99 on Cydia’s BigBoss repo. Be sure to share your thoughts about the tweak in the comment section below.